Serving as the sequel to last years, Nike LeBron 15 ‘Equality’ release, this year will feature two alternating styles of the LeBron 16 preaching the same message. Like last year, Nike has decided to go with both a black and a white sneaker, but brought a twist to it with two different versions. One pair comes with the left sneaker dressed in white and the right in black, and the other pair donning the opposite look. Both pairs come in a White and Black color scheme. One set features White on the right shoe with Black laces, and Black on the left with White laces. The other set is complete opposite. 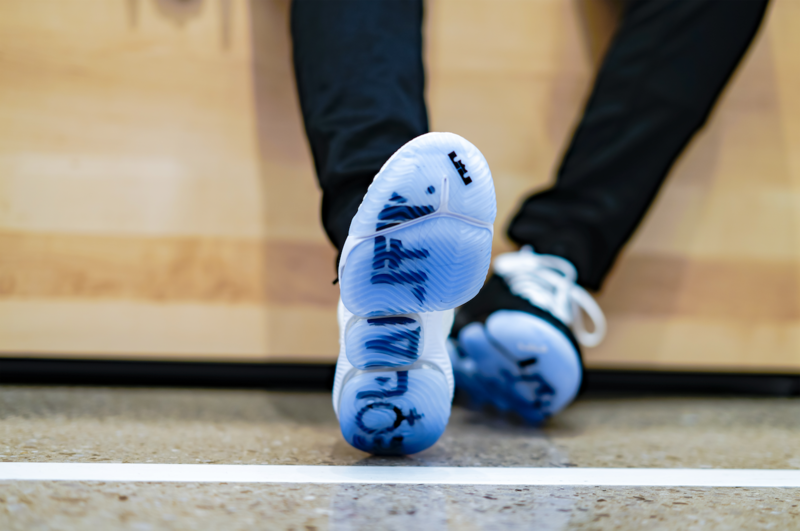 Equality driven details are seen on the branded heel pieces, and “EQUALITY” is printed on the outsoles as well as the insoles of each sneaker..
You can grab the Nike LeBron XVI ‘Equality’ Collection on January 21st at Finishline.com. Make sure you check with your local store for more release details.